In the tradition of Truman, John Adams, and Team of Rivals, the Pulitzer Prize and National Book Award-winning biographer of Charles Lindbergh, Maxwell Perkins, and Samuel Goldwyn sheds new light on a president and his presidency in a way that redefines our understanding of a tide-turning historical moment. In addition to the hundreds of thousands of documents in the Wilson Archives, Berg was the first biographer to gain access to two recently discovered caches of papers belonging to those close to Wilson. 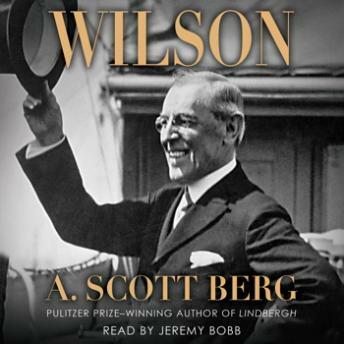 From this material, Berg was able to add countless details—even several unknown events—that fill in missing pieces of Wilson’s character and cast new light on his entire life. From the scholar-President who ushered the country through its first great world war to the man of intense passion and turbulence, from the idealist determined to make the world “safe for democracy” to the stroke-crippled leader whose incapacity and the subterfuges around it were among the century’s greatest secrets, the result is an intimate portrait written with a particularly contemporary point of view—a book at once magisterial and deeply emotional about the whole of Wilson’s life, accomplishments, and failings. This is not just Wilson the icon—but Wilson the man.